Take Langstone (A3023) exit & continue for 2.8 miles (this takes you through Langstone, over the bridge and onto Hayling). Turn left into Copse Lane & continue for 0.1 miles. Turn right onto Yew Tree Road & continue for 207 feet. Turn left onto access road & continue to park entrance. Fleet Farm Caravan Park is straight ahead. Fleet Farm is our largest holiday park with one hundred and fifty four pitches. It is situated in the rural northern part of the island. 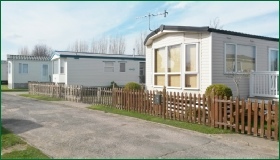 Caravan owners have the use of a small creek and communal area at the top of the park.